Save money on your daily motoring with HonestJohn.co.uk. Each week we round-up the best deals and discounts to help cut the cost of your daily drive. Visit this page regularly in September to save on everything from new cars to motoring accessories. Learning to drive? Get two lessons for the price of one with Red Driving School. The offer applies to new customers only and provides two ultimate beginner lessons for the price of one. Boost your Tesco Clubcard points when you buy tyres at Black Circles. The tyre retailer is offering triple points on selected Michelin and Kumho tyres and double points on Quality Choice and Rotalla tyres. Get up to £40 off your first 10 hours of lessons with the AA. The deal is for new customers only and based on participating instructors. Please not that not all instructors will offer the deal, so always check first. Need some tools to carrying out some DIY repairs on your car? Halfords is offering all of its socket sets for half price when you buy online until 28 September. Get £50 worth of food vouchers when you buy car insurance with the Co-op. The offer is for new customers only and you’ll get your vouchers within 90 days of your policy being activated. Need a technical manual for your car? You can save 25 per cent on all Haynes print manuals in September. The deal covers repair manuals and tech books. Save £80 when you buy a Nilfisk pressure washer from Amazon. Priced from £44.99 (normally £124.99) the 1400w unit included everything you need to clean your car, with high power nozzles, soft grip gun and foam applicator. Free breakdown cover when you take out car insurance with Churchill. The offer is for new customers only and is only valid for the first 12 months of the policy. Reader offer: Get a free car cleaning kit when you take out a Motoreasy warranty plan. HonestJohn.co.uk has teamed up with Motoreasy to offer every reader a free gift when they purchase a comprehensive warranty plan. The warranty includes cover for wear & tear, overheating, consequential damage and failures identified during MOT & servicing as standard. Get 20 per cent off children’s booster seats at Halfords when you trade-in your old booster cushion. The offer applies to online orders only and you must take your old seat to the store when you collect your new one. Get £1300 worth of kit for free with a new Volkswagen Amarok. All Amaroks in Highline trim, registered before the 30 September, get a factory-fit navigation and chrome pack at no extra charge. Volkswagen cuts £3000 off the price of a new Beetle. The deal applies to both cash and PCP customers and covers all versions, including Beetle cabrio and Dune. Get RAC roadside cover from £18 in Tesco Clubcard vouchers. The RAC and Tesco are also offering joint assistance for you and one other member of your household from £26 in Clubcard vouchers. Reader offer: Save up to 15 per cent on airport parking. HonestJohn.co.uk has teamed up with Purple Parking to provide savings at London Heathrow, Gatwick, Stansted, Manchester, Birmingham and Southend. Get £500 of fuel for free when you buy a new Vauxhall. The offer applies to Astra, Corsa, Adam or Mokka. You must buy before 12 September 2016. The deal also includes vans - the Corsavan, Combo, Vivaro and Movano. Save £25 on your next MoT when you buy two tyres from Kwik Fit online. The offer applies to premium tyres only and the tyres must be fitted by a Kwik Fit centre or mobile fitter. Customers buying four tyres will also receive an additional £25 off their next Kwik Fit service. Buy a new Twingo from £7995. 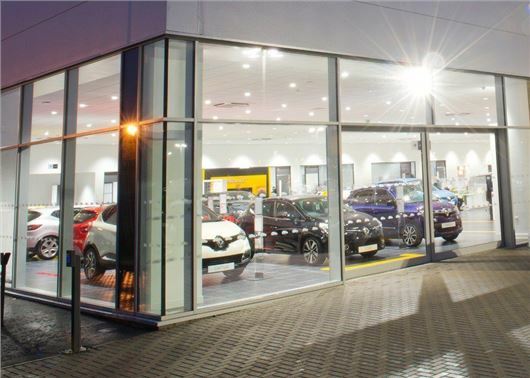 Renault has launched a number of 66-plate deals, with £1500 off the cash price of its Twingo SCe 70 in Expression, Play and Colour Run Special Edition trim levels, while the Dynamique model is available with £1700 off list price. Get up to £50 cashback on selected TomToms at Halfords. You can claim up to £50 back when you order online and all TomToms featured in the offer lifetime map updates for the life of the unit. Reader offer: Save 10 per cent on ALA GAP insurance. HonestJohn.co.uk has teamed up with ALA to provide an exclusive discount on all GAP policies. The offer ends on 30 September. Save £6000 on a new Audi A6 when you purchase via PCP. Audi is offering £6000 deposit contribution and 3.9 per cent APR rates.